This is the moment terrified forest workers “killed” a tiger by pinning it down with a digger – after the big cat mauled to death two people. Locals said the animal killed quarry worker Bhagwati Devi, 33, and her father-in-law Lakhpat when he tried to save her. 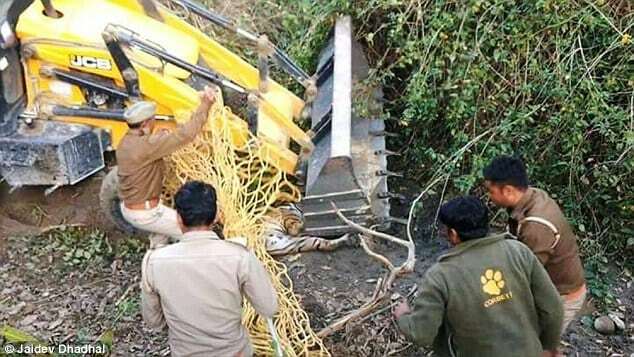 Forest personnel sedated the tiger with tranquilisers, but when the big cat apparently took longer to fall asleep, they used a JCB to pin it down before deploying a net. Wildlife campaigners said the animal suffered spinal injuries, and died en route to Nainital zoo in India.